Divine Rosa Salts offer a timeless treat, you will have no option other than to stop and just be- which you completely and utterly deserve. Editor’s Notes: Divine salts offering up a timeless treat, you will have no option other than to stop and just be- which you completely and utterly deserve. Pamper your inner God or Goddess with this sublime blend of Epsom salt, Mediterranean sea salt and essential oils. 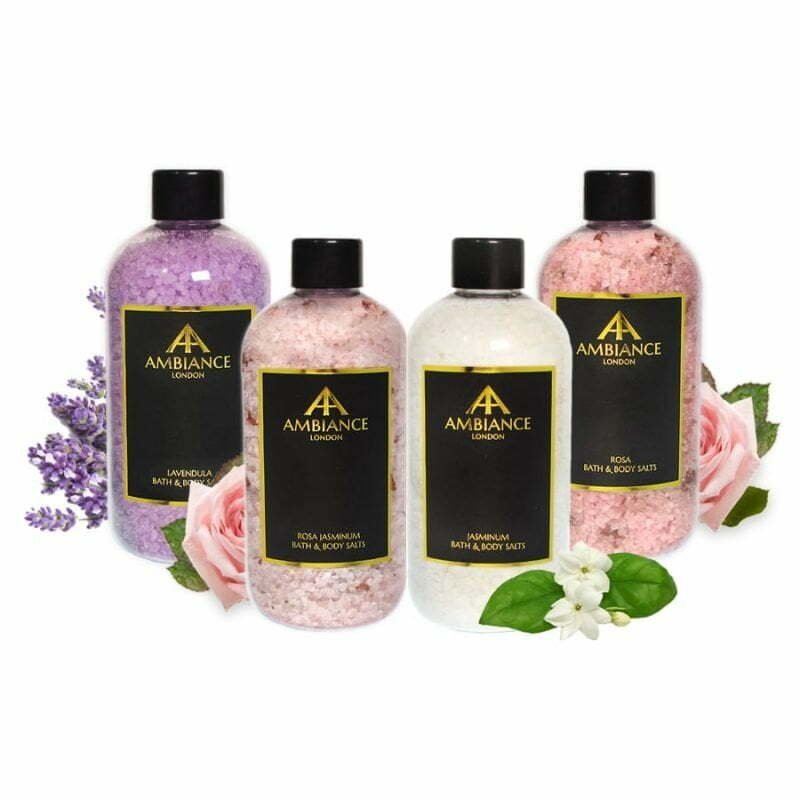 These wonderful salts can used in the bath, as a foot soak and even as a body scrub. 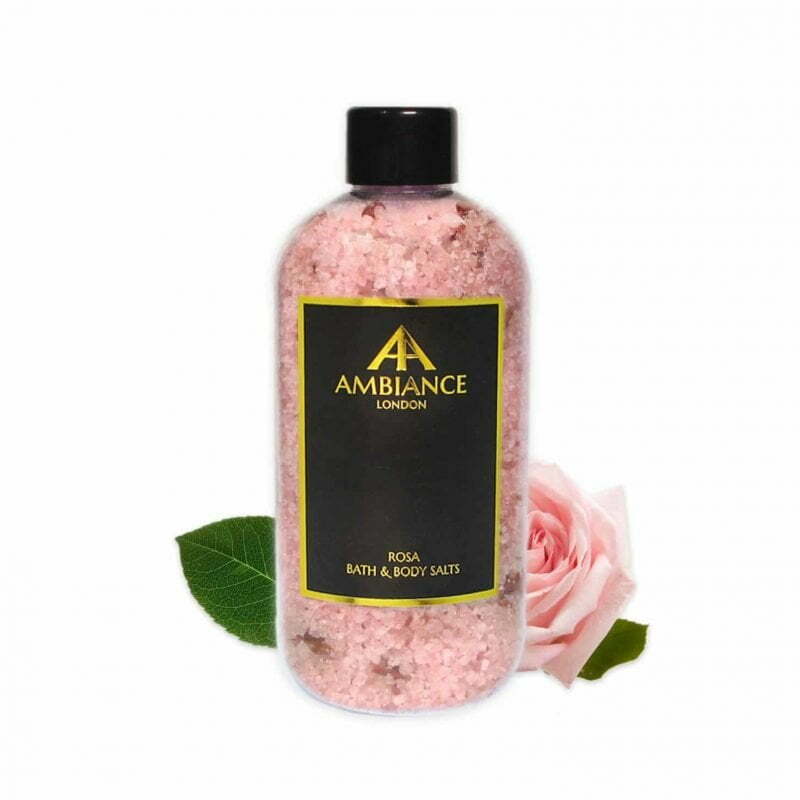 *Bathing: A natural anti-inflammatory for the muscles, a body soak with these salts is relaxing and particularly good for gently purifying and detoxifying- thus also helping to stop bloating and reduce inches for a temporary ‘slim-down’. Use 1-2 generous handfuls in the bath and to soak your feet after a long day. *Exfoliating: A routine body scrub will produce visibly softer, brighter skin and help good blood circulation. Apply directly to damp skin or mix with olive oil for a natural body exfoliator. *Foot Soak: If you suffer from rough or hard skin on your feet, a foot soak with these salts will help break down and soften hard skin naturally. Soak once a week in warm water for 10-15 minutes. Then apply dry salts directly to your skin to exfoliate, rinse off and remove any excess skin with a foot file or pumice. 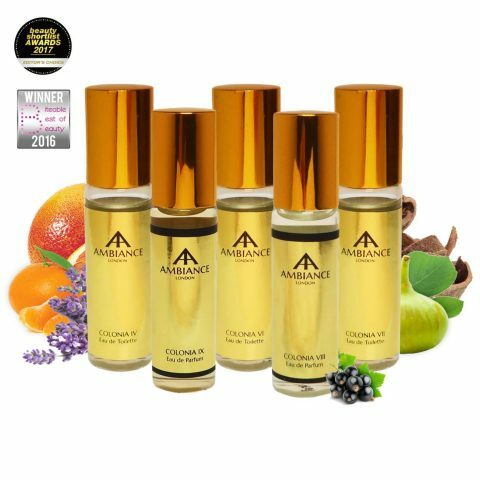 Pat dry and follow with Goddess Argan Beauty Oil to lock in moisture. *Immune System Boost: As the naturally occurring minerals in these salts are gently detoxing, they will ease muscle aches, calm the body and help you get a good night’s rest – so you can recover faster. Some doctors say it will even speed-up healing and increase your white blood cell count. 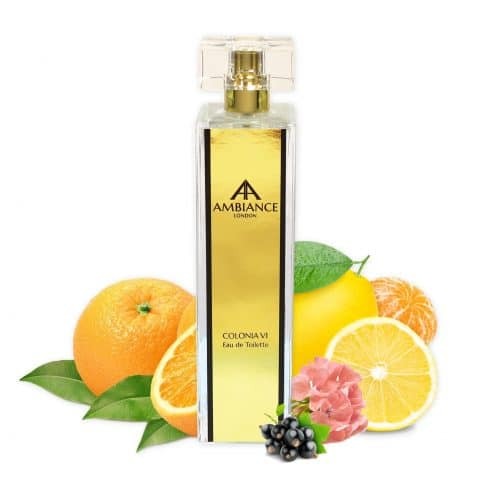 Fragrance Heritage: Ancient Egypt’s Queen Cleopatra was a big fan of the rose, ensuring her banqueting hall was filled with two feet of fragrant roses upon Mark Anthony’s first visit from Rome. Product Information: A natural blend of Epsom salt, Mediterranean sea salt and essential oils. The pure mineral compound of Epsom Salts (magnesium sulfate) has many health and beauty benefits. Most importantly, when dissolved in the bath, they help to replenish the body’s magnesium levels, relieve stress and leave you feeling revived. Gift box not included, but may be added from Gift Wrap Options above. Please note: Due to the natural ingredients in these products, the pigment can vary from each batch produced and may appear lighter in colour than the above image. This does not affect the product properties. 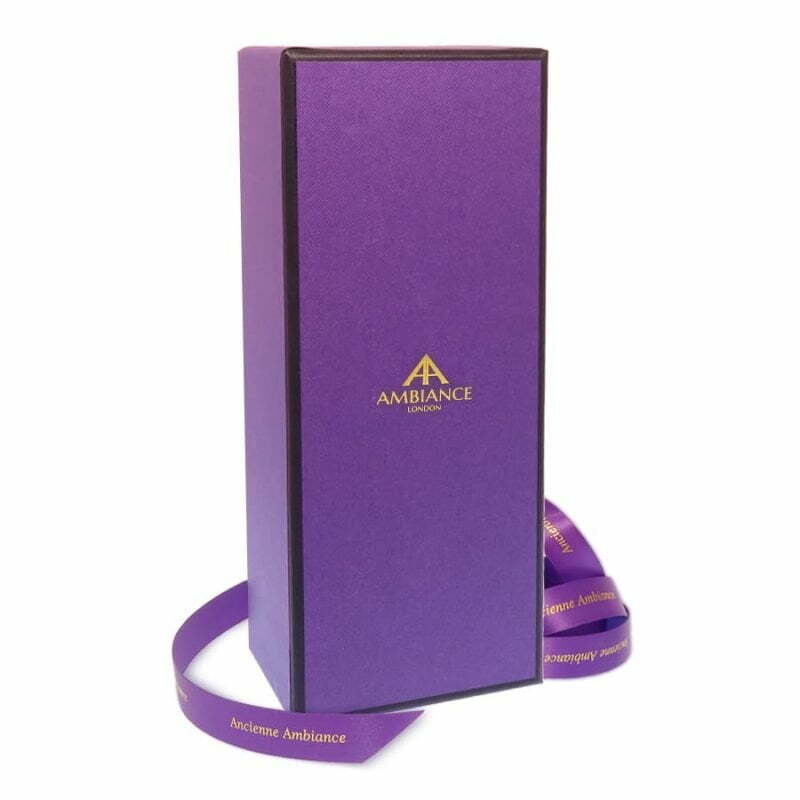 Ancienne Ambiance products are not tested on animals and are free from harmful chemicals. Packaged in high quality recyclable PET bottles: kinder to the environment, ideal for travelling.